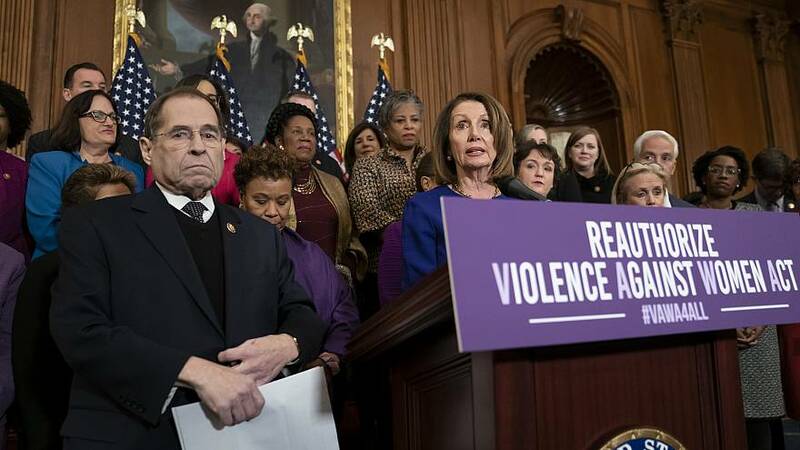 WASHINGTON — The House on Thursday passed an extension of the Violence Against Women Act, which provides protections for survivors of domestic violence, and includes new gun-related provisions that are opposed by the NRA. Those include an attempt to close the so-called 'boyfriend' loophole, prohibiting those convicted of stalking or abusing individuals with whom they have been in a relationship that did not include marriage from buying a gun. "The NRA opposes domestic violence and all violent crime, and spends millions of dollars teaching countless Americans how not to be a victim and how to safely use firearms for self-defense," NRA spokeswoman Jennifer Baker said in a Wednesday statement, accusing activists and politicians who support gun control of "intentionally politicizing the Violence Against Women Act as a smokescreen to push their gun control agenda" and "trivializing the serious issue of domestic violence." On the House floor Wednesday, House Majority Leader Steny Hoyer, D-Md., said that he was "deeply disappointed" that some House Republicans are "using the NRA as cover to vote against this reauthorization, which has been overwhelmingly in a bipartisan fashion reauthorized over and over again." The law was "a direct response to the epic violence against women that plagued our country at that time," Bass said in a speech touting the bill on the House floor Wednesday. "While we have made significant progress, we still have much to do," she said. "Movements like MeToo, across this country, demand Congress' attention to better deal with the gaping holes left unfilled in current law around the issues of domestic violence, dating violence, sexual assault/harassment, and stalking." "If we're doing a Violence Against Women Act," why not close "loophole that says if someone has been convicted of domestic violence ... they not have access to a gun?"